My favourite picture in my office is the one on the left, by the Cornish artist Nick Talbott, showing the Boscawen Incline in the heyday of the Botallack Mines. These mines, close to Land's End, and 40 miles from Falmouth, worked tin and copper deposits in the 18th, 19th, and early 20th centuries. 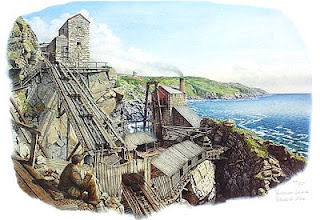 A large number of independent enterprises combined under the name of Botallack- many by the end of the 18th century, some others not until the start of the 20th. 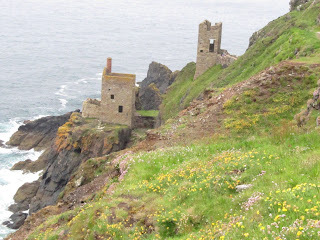 This is a beautiful part of Cornwall's Atlantic Coast, and a must for those interested in mining archaeology. The two Crown Mines engine houses (left), clinging precariously to the cliff face are just two of many on this stretch of coast, which also includes the headgear of Geevor tin mine, which closed in 1990. In the photograph can be seen the pumping house (left), and the winding house, which brought ore up the Boscawen Incline. Spend some time exploring this area, as, apart from the evocative engine houses, you will also find remains of dressing floors, and the remains of a Brunton Calciner and arsenic labyrinths, used to remove arsenic from cassiterite concentrates. Low grade ores- smelt, leach or concentrate? Falling ore grades and more complex ore bodies anticipated in the future can be expected to lead to increased energy consumption and associated greenhouse gas emissions for primary metal production. Sustainability concerns have seen the mineral processing and metal production sector come under increasing pressure to address these issues, but choosing the most appropriate processing route for low grade ores is not always clear. A study was therefore undertaken by Norgate and Jahanshahi of Australia’s CSIRO, using life cycle assessment methodology to examine various alternative processing routes for extracting metal from low grade ores (down to 0.1% metal), particularly those of copper and nickel, in terms of their life cycle-based energy consumption (embodied energy) and greenhouse gas emissions. The results have been published in Minerals Engineering, Volume 23 Issue 2 (2010). The processing routes examined included conventional concentrating and smelting, direct ore smelting, heap leaching, pressure leaching and in situ leaching. The results of the study indicated that the most appropriate route for processing low grade ores in terms of embodied energy and greenhouse gas emissions largely depends on the mineralogy of the ore deposit concerned. Provided no additional grinding of the ore is required as the ore grade falls then conventional concentrating and smelting is the preferred route for both copper and nickel where pyrometallurgical processing can be applied. However, if fine grinding is required (down to 5 μm) then the preferred routes are heap leaching and direct smelting, in that order for copper ores, and in situ leaching, slightly ahead of pressure acid leaching, for nickel ores. The authors will be presenting a continuation of this work in a couple of weeks’ time at Nickel Processing ’10 in Falmouth, in a paper entitled “Assessing the sustainability of nickel laterite processing”. Given the anticipated expansion in nickel laterite processing, it is important that the various processing routes for nickel laterite ores, both existing and proposed, be assessed from a sustainability point of view. To this end, the authors have assessed a number of hydrometallurgical and pyrometallurgical processing routes for nickel laterite ores, using life cycle assessment (LCA) methodology, focussing in the first instance on energy consumption and greenhouse gas emissions. The results of this study will be presented at the conference, including a comparison of the various processing routes. 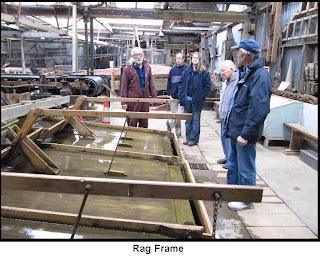 There are very few, if any, places in the world where you can see 19th century gravity concentrators, such as round frames, buddles, Frue Vanners and rag frames, in operation. Such a place is the King Edward Mine Museum, on the outskirts of Camborne, and only about 12 miles from Falmouth. King Edward Mine is the oldest complete mine site left in Cornwall. The mine was formerly part of South Condurrow Mine, which was abandoned in 1890. Re-opened and developed as a fully operational/training mine by the Camborne School of Mines, King Edward was used up to the mid 1970s when the mill became a store. I have fond memories of it, as my first office at CSM was a small broom cupboard in the old survey office! 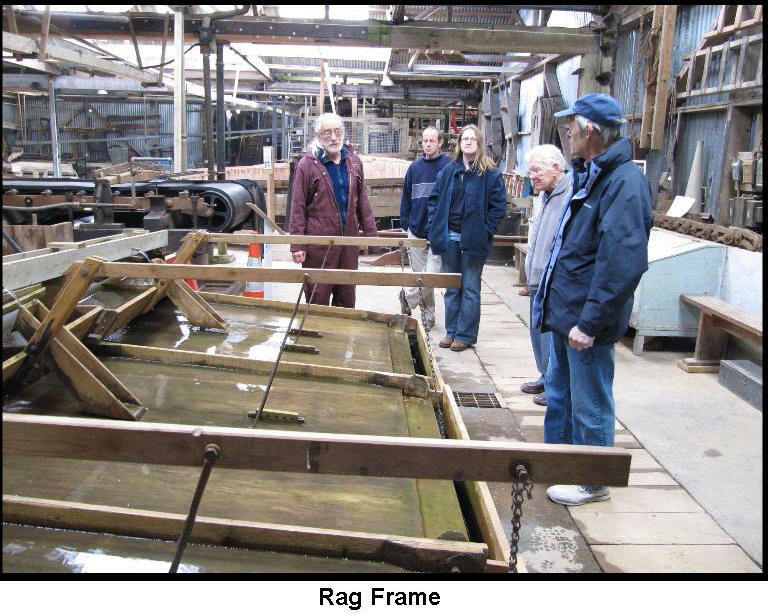 In 1987 a volunteer group was formed who restored the mill using rescued machinery. From the Californian stamps onward, the working mill is much as it would have been in the early years of last century. A must for anyone interested in early mining industry. 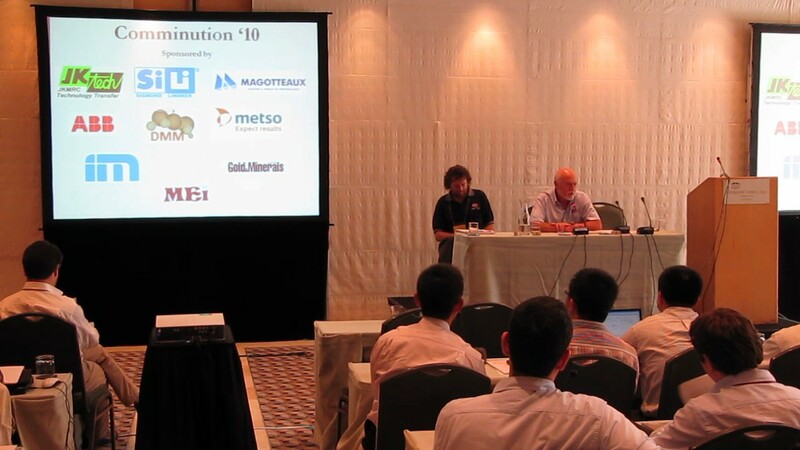 November’s Process Mineralogy ’10 is already developing into a major MEI conference. Sandwiched between two other MEI events at Cape Town’s Vineyard Hotel (Biohydromet ’10 and Zinc Processing ’10), the conference has attracted two very eminent keynote speakers of international repute. 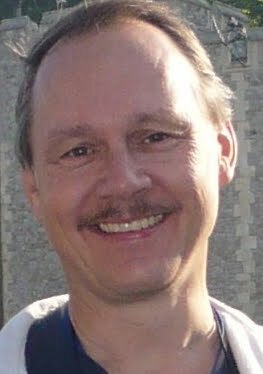 On the first day of the 3-day conference, Robert Schouwstra, manager of mineralogical research at Anglo Research, South Africa, will review developments in mineralogical techniques. Conventional mineralogy was mainly based on optical microscopic techniques. Years of experience in studying ore and gangue minerals using an optical microscope allowed for quick identification of minerals, opinions on abundances of certain minerals, liberation, required grind size and reasons for high mass pulls or tailings losses. More detailed investigations involving point counting techniques, XRD and chemical methods provided additional information to quantify certain aspects of the problem studied. Developments in automation of SEM-based techniques, computerised XRD processing and identification, imaging software, etc. has impacted on the tasks of mineralogists. Future equipment developments and the implementation of plant systems will probably minimise the need for experienced mineralogists for the more routine applications. Dr. Schouwstra will discuss how processing requirements have driven developments on current systems, the changing role of mineralogists, as well as knowledge and experience requirements to drive applied or process mineralogy forward. The second day of the conference will commence with a keynote from Dr. Norman Lotter, of Xstrata Process Support, Canada, and CIM Distinguished Lecturer, who will also discuss modern mineralogy and will show how the modern hybrid of process mineralogy has produced new levels of capability in flowsheeting for concentrator design and retrofit for optimal performance. These are: sampling and statistics, geology, mineralogy, and mineral processing. As new mine projects that either replace worked-out tonnages of older mines for current operations, or new mine projects that consider first-time start-up, the question of viability is challenged evermore by lower-grade, and more complex, orebodies to be treated. Modern hybrid process mineralogy is capable of producing flowsheeting solutions that add to paymetal recovery and concentrate quality, bringing significant value to these projects and – in some cases – turning unviable projects into viable. One of my LinkedIn connections, R. Spencer Ramshaw, of Camese, Canada asks "For business to business marketing does Twitter have a purpose yet"? I know that Amanda uses the RSS feed on Twitter to feed her tweets onto the front page of MEI Online and onto her updates in LinkedIn. Apart from that I can't see any other purpose to it, but I am sure I am wrong. It would be really useful if someone could convince me to spend time on this. However, perhaps the only way to assess its potential is to give it a go, so I have started daily tweets (twitterings?) at http://twitter.com/barrywills. If I have a million followers by the end of the month, then I will probably continue with it. Seriously though, I would like to hear if anyone is making really productive use of Twitter, apart from telling the world what they had for breakfast. Very hot at the moment in Cornwall, so Barbara and I drove along the beautiful Atlantic Highway (above) and stayed overnight at Bude, on the north east border with Devon, and only 62 miles from Falmouth. 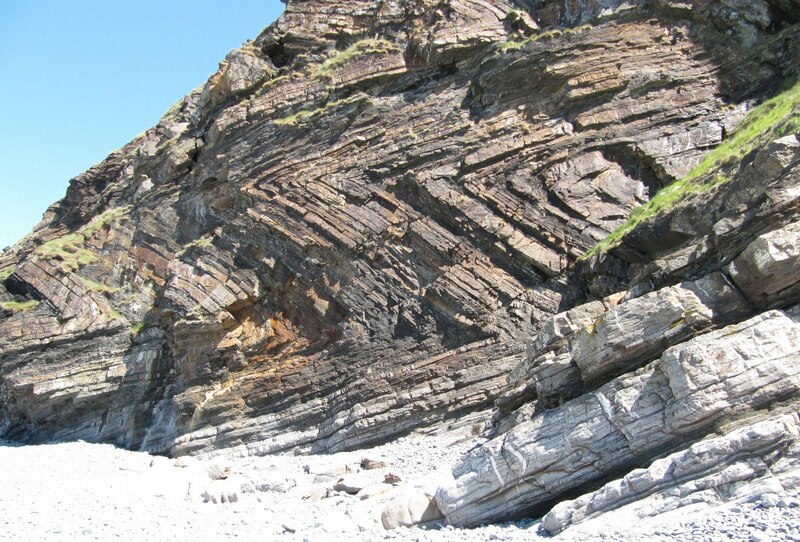 This is a wonderful area, with different geology to much of Cornwall. Most of the county is composed of Devonian metaphorposed sediments (killas) and Carnoniferous granites, but north east Cornwall is dominated by Carboniferous sandstones and slates. 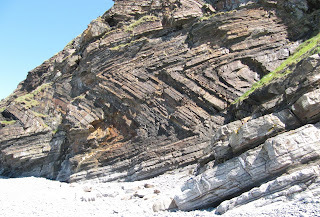 There is some magnificent cliff walking in this area, particularly the 9 strenuous miles from Bude to Crackington Haven, which passes one of the world's best examples of chevron-folding at Millook Haven. 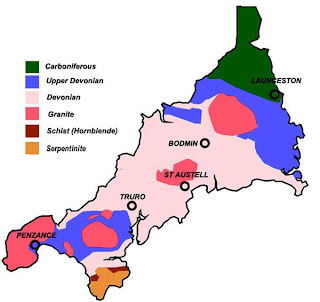 Cornwall was shaped by the Variscan oregeny during the Carboniferous period, and its rocks were tortured by tectonic forces as the Rheic Ocean finally closed and Pangea was formed. These forces are nowhere more apparent than in the Crackington Haven area and most notably on the cliffs at Millook Haven. The Old City, Istanbul, Turkey will be the setting for Processing of Industrial Minerals and Coal (PIMC '12) in June 2012. Although there are many operations worldwide, treating a wide range of industrial minerals, processing problems are often similar. The aim of this conference is therefore to bring together operators and scientists from apparently disparate fields, ranging from cement to potash processing and coal preparation, to discuss common problems encountered in comminution, classification, flotation, physical separation, dewatering and other areas. 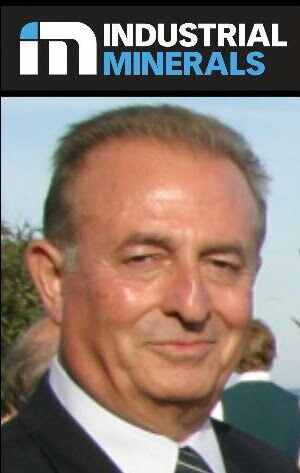 The conference is sponsored by Industrial Minerals and MEI's consultant in Turkey is Prof. Guven Onal, of Istanbul Technical University. Papers will be published as an unrefereed Proceedings on CD, and selected papers will be published, after peer-review, in a special Processing of Industrial Minerals and Coal issue of Minerals Engineering journal. 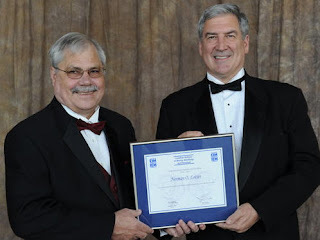 Following my 12th May posting, Norman Lotter has sent me this photo of him receiving his CIM Distinguished Lecturer Award from CIM President Mike Allan. Norman will travel in the next twelve months to various CIM and international conferences, presenting a keynote on modern Process Mineralogy at Process Mineralogy '10. Thanks to all of you who have emailed commenting on the beautiful view of Falmouth in yesterday's blog. 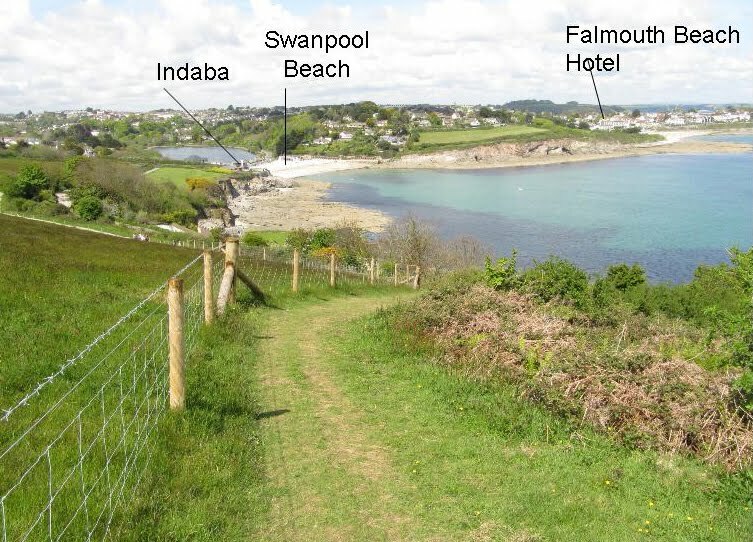 Some of you have asked if I can point out the landmarks, so on the left is the photo again, showing the location of our number 1 restaurant, Indaba on the Beach, at Swanpool and the Falmouth Beach Hotel, our conference venue. The photograph is taken from the coast path west of Falmouth, about a mile from the conference hotel, and on the route of the optional evening walk after the first day sessions at Precious Metals '10 and Nickel Processing '10. Beautiful Falmouth is the setting for next month's MEI Conferences, Precious Metals '10 and Nickel Processing '10. Precious Metals '10 runs from June 15-16, and is sponsored by Barrick Gold, Newmont Mining, Delkor and Maelgwyn Mineral Services. Nickel Processing '10 immediately follows Precious Metals, and is sponsored by Xstrata Process Support. Both conferences have very strong international programmes. The Precious Metals programme can be found by clicking here, and Nickel Processing here. There are concessionary rates available for those wishing to register for both conferences, and we encourage all delegates to stay on for a few days after the events to take advantage of this beautiful part of the world, which is also the birthplace of modern mining. Contact me if you would like any suggestions for excursions. High pressure grinding rolls have featured heavily in recent discussions on LinkedIn and the 4th May posting. 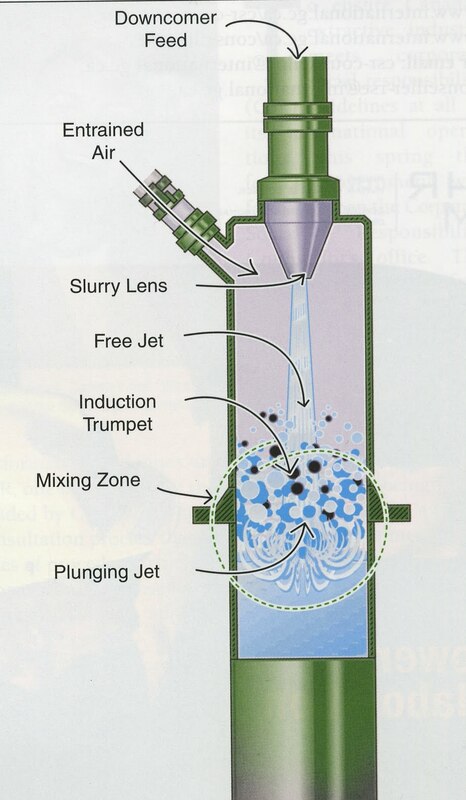 An article by Chris Morley of Fluor Australia (presently with Ausenco Minerals, Australia) endeavours to answer frequently asked questions on the subject of high pressure grinding roll technology, with particular reference to its application in the hard rock minerals processing sector. 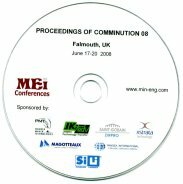 This is one of 7 papers selected from MEI's Comminution '08 conference in Falmouth that have been published in a special issue of the Journal of the Southern African Institute of Mining and Metallurgy, Volume 110 Number 3 (2010). Another of these papers, by P. Rosario and R. Hall of the University of British Columbia, Canada, presents a structure for comparison of the energy requirements for HPGR versus SAG mill when considering complete circuits for comminution of precious and base metal hard ores. The papers are available on the SAIMM website. A further 18 papers from the conference were published in a special issue of Minerals Engineering, Volume 22 Numbers 7-8 (2009) (see ScienceDirect) and all papers presented are available in unrefereed form on the Proceedings CD. MEI's two major conference venues, Cape Town and Falmouth, have more than outstanding natural beauty in common- they are also great places to eat, with some of the world's finest restaurants. As a rough guide to delegates attending this year's MEI Conferences I thought I might list my top 5 restaurants at each of these locations. Such listings are of course subjective and subject to debate, so I hope that my list will encourage others to add their views for the benefit of all. 1. 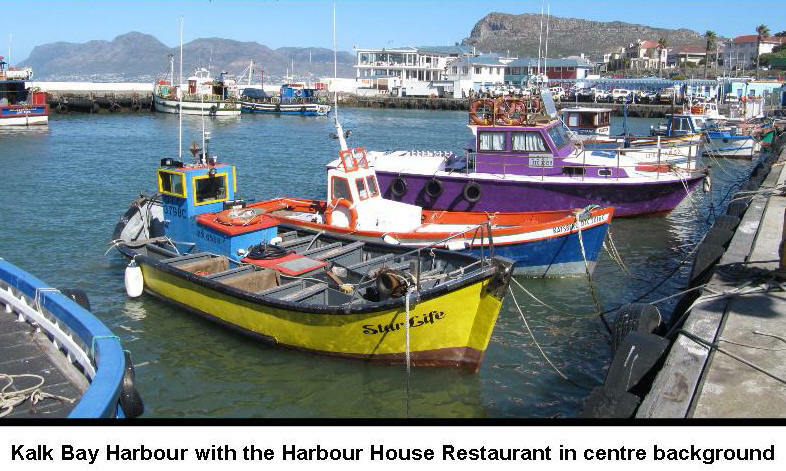 The Harbour House, Kalk Bay. Fish doesn't get fresher than here, as it is bought directly from the adjacent harbour. 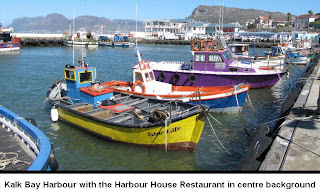 About 20 minutes by car from the Vineyard Hotel, this restaurant has in my opinion the best fish dishes in Cape Town, and stunning views of Simon's Town across False Bay. 2. The Foodbarn at Noordhoek Farm is a longish (30 minutes app.) drive across Cape Town but well worth it, if only to travel along the famous Chapman's Peak Drive. We have only eaten here once, but were very impressed with the outstanding food and service. 3. Buitenverwachting. Expensive by Cape Town standards, but this Constantia wine estate restaurant is one of South Africa's finest, for great food and wines. About 15 minute drive from the Vineyard Hotel, nestled on the back slopes of Table Mountain. 4. Cape Colony Restaurant. Consistently voted one of the top hotel restaurants in the world, what could be a better setting than Africa's premier hotel, the Mount Nelson, situated in the city bowl, under Table Mountain. Superb food and wine, and not as expensive as you might expect. 5. Myoga. This is one of two fine restaurants at the Vineyard Hotel. The other is The Square. Both have excellent food and wine. 1. Indaba on the Beach. Probably my number one anywhere in the world. 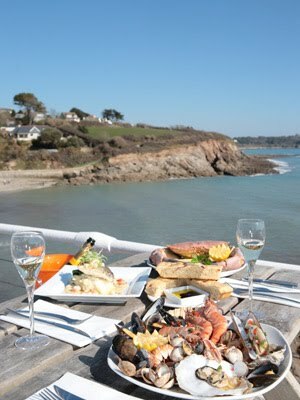 Wonderful seafood with a view (photo left), overlooking Swanpool Beach, to take your breath away. A 10 minute walk along the coast path from the hotel. 2. The Cove. 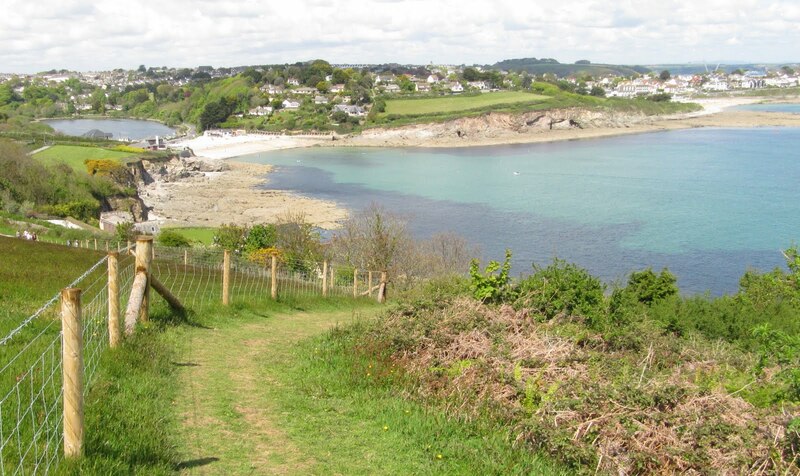 A further 15 minute walk from Swanpool Beach takes you to Falmouth's most westerly beach, Maenporth Cove. The restaurant is quite pricey but has excellent food and a great view of Falmouth Bay. 3. The Hut. A small restaurant with excellent cuisine, situated on one of the narrow alleys leading down to the quays. Call in at the nearby Chain Locker pub on Custom House Quay for a predrink. 4. Oliver's Eatery. On the High Street, it does not have the views of my top two restaurants, but the food is excellent. Booking is essential, as this small restaurant is very popular with the locals. 5. The Gurkha. Cornwall's foremost Nepalese restaurant, serving wonderful authentic Nepalese and Indian curries. A bright future ahead for the minerals industry? A very reliable source tells me that the CIM Conference in Vancouver had a very interesting session on Wednesday afternoon, presented by investment analysts and the CIBC ( a big Canadian bank with a lot of stake in China). The message was clear : A version of the supercycle is fast approaching as China (and India now) get back to their activities of developing their huge middle-class society with new salaries etc. Additionally it was very clear that exploration drilling in the global mining industry is fast gaining traction. This is all good news for metal prices which, apart from gold and platinum, have all suffered over the past month. I hope to hear more views on this at MEI's forthcoming commodity conferences, Precious Metals '10, Nickel Processing '10 and Zinc Processing '10. Good news also today for Flotation '11, with a new sponsor on board, SNF Flomin. I see in an article in CIM Magazine (Vol. 5 Number 2, 2010) that Xstrata Technology, which markets the Jameson Cell (left), recently opened an office in Vancouver that supports projects throughout the Americas. Pilot campaigns at potash operations in Saskatchewan are among them. Developed in the late 1980s (see MEI Online) by Prof. Graeme Jameson (right) and his students at the University of Newcastle, Australia, the Jameson cell has since been installed at operations around the world for the processing of base metals, coal and industrial minerals, including potash. It is apparent that the Jameson cell is probably the most successful of the column-type cells. When column flotation was first patented in the early 1980s, it lead to a spate of dedicated books, conferences and intensive research and publication in peer-reviewed journals. Originally developed for cleaning, it was predicted that they would also take over rougher and scavenger duties and maybe make mechanical cells obsolete. This hasn't been the case, however, and I have noticed that at recent flotation conferences columns hardly warrant a mention and the emphasis now seems to be more on extremely large, energy efficient, mechanical cells. 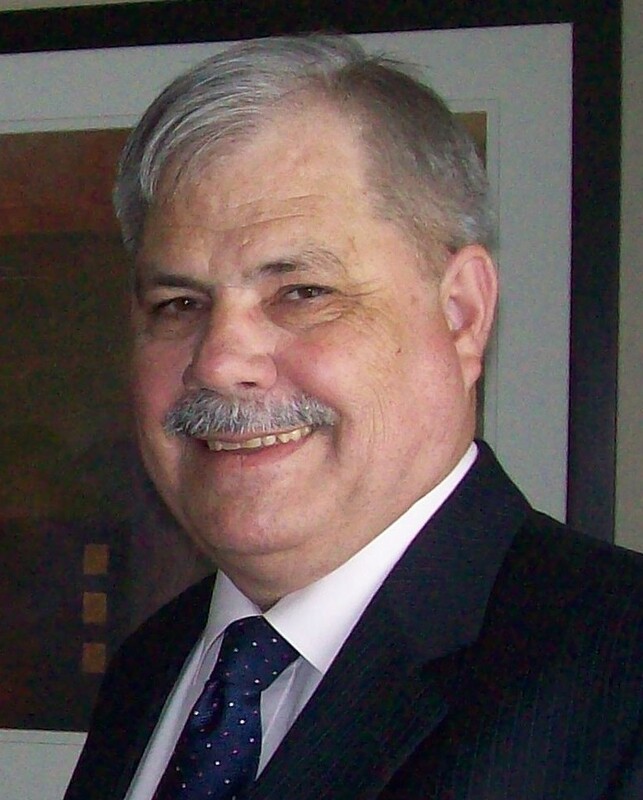 I would like to personally congratulate Dr. Norman Lotter on his award of CIM Distinguished Lecturer for 2010/11. The full report can be seen in MEI Online. Norm has become a great friend of MEI. He is consultant to Nickel Processing '10, which will be held next month in Falmouth and will present a keynote lecture at Process Mineralogy '10 in Cape Town in November. 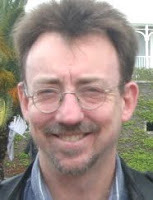 He is also a respected member of the peer-review team for Minerals Engineering, and guest edited the special 2008 Flotation issue of Minerals Engineering with Prof. Dee Bradshaw, of Australia's JKMRC. Dee and Norm are pictured (left) at Flotation '09 in Cape Town. 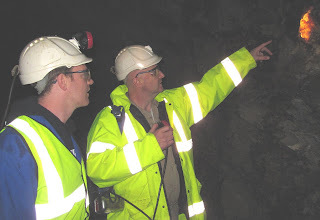 Last December I reported that South Crofty, Europe's last working tin mine, which closed 12 years ago, was on the brink of reopening as a polymetallic mine, working orebodies containing copper, zinc, silver, lithium and indium, as well as tin. Only last week the mine's owners, Western United Mines, announced a potentially lucrative new source of income- gold, assaying abouth 1.6g per tonne. Jon and I decided to take the short trip to South Crofty from Falmouth, and talk to John Webster (near left with Jon), WUM's chief operating officer, and one of my past-CSM students. It's a fascinating and highly complex project. The old South Crofty tin mine worked, in most cases, narrow veins of tin ore in the granite country rock, but exploration of the surrounding killas, a term for highly metamorphosed sedimentary and volcanic rocks, which underlies two thirds of Cornwall, had not, until now, been carried out. The present historic resource consists of 53 identified potential orebodies in the South Crofty area, containing varying amounts of copper, zinc, silver, indium, tungsten and uranium, and now gold, as well as, of course, tin. There are also lithium brines in the groundwater, which may be exploited not only for this light metal, but also for its heat; the high geothermal gradient could mean that the mine water has potential for sale to local housing and industries for heating purposes. John took me and Jon to look at a couple of the exploratory drives, where drilling is producing cores, which are rigorously analysed every 10cm by a portable InnovX XRF analyser. The next stage is a complete mineralogical assessment of the core samples, which will be undertaken using the Camborne School of Mines extensive facilities, including XRD, Ion probe and QEMSCAN. It is early days yet, but John envisages the orebodies being treated underground by some form of modular processing plant, such as Gekko's Python Underground Processing Plant, designed to operate in a 5m x 5m tunnel and produce a high-grade concentrate that can be pumped to the surface. Such keyhole plants have been installed in the Central Rand Gold Mine in South Africa (MEI Online). The shallow orebodies in the district are found as low as 40m from the surface so the decline ramps are ideally suited for this purpose. The target is to mine around 2500 tpd from 2-3 satellite deposits and pump the bulk concentrate from the keyhole processing plants to a surface storage facility where tankers will transport the crude mixed concentrate to a central processing plant at the South Crofty site for separation into saleable concentrates or metal. The 63-strong workforce all seem highly motivated and confident that this project will come to fruition within the next few years, so please watch this space for further developments! 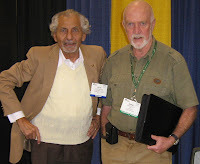 I met up with Fathi Habashi at the SME Meeting in Phoenix, and he mentioned that he is presenting a 2-day course “Introduction to Extractive Metallurgy” this month. I do not envy him, as I know how hard these intensive courses can be. In the early 1980s I gave a few introductory 2-day courses to mining engineers and geologists in Johannesburg, and it was exhausting. Nothing like my nightmare short course though! In 1994 I was invited to give a 25-hour lecture course on mineral processing at the Alès School of Mines in France. Foolishly I agreed- the course was over a four day period, after which I had to set and mark an examination for the 5th day! It was exhausting; the students spoke good English, but I’m not sure that they really came to terms with my Lancastrian accent. Never again! I just wondered if anyone else has had interesting short course experiences, either as a lecturer or participant. Undoubtedly my most memorable short course was a 5-minute presentation on froth flotation to Her Majesty the Queen in 1980. 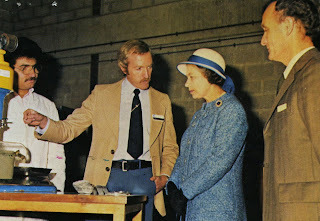 It must also have been a memorable experience for Her Majesty, as she is obviously enthralled by my efforts. Maybe rod mills are at the dusk of their usefulness? My last blog posting has already had two interesting comments, and I think a lively discussion is building up on LinkedIn, on the Minerals Engineering and Grinding Mills Technology groups. This is an interesting question. Although new rod mills were being installed in PGM's as recently as 8 years ago (Northam Platinum) and are still installed in phosphates I do think they are at the dusk of their usefulness. There are limits to the length of the rods manufactured and consequently rod mill sizes are limited to fairly small dimensions (~15' diameter) and thus capacity is limited and not really suited to the low grade, high capacity operations being built today. Pity in some ways as rod/ball circuits were more energy efficient than the new SABC circuits of today. I am less inclined to agree that ball mills have reached the end of their usefulness. Once again mainly due to the economies of scale needed to make many new projects viable and stirred mills also have limited capacity making multiple lines necessary which in turn brings back the old headaches of maintenance intensity and associated costs. Ball mills are now as large as 28' diameter (yes, the first ones have been ordered for a copper project in Peru) making single line, high throughput grinding lines still very practical. HPGRs are also still limited on throughput resulting in the same issues as for stirred mills. They may eventually get there but the large HPGRs installed today already have grinding rolls exceeding 100 tonnes in mass! These are not small components to change out! I guess to answer your question, my perspective is that SAB circuits will still be around for some years to come. Rod mills are about done. HPGRs are interesting but not a silver bullet or that innovative given that roller crushers were used in the same applications years ago and the Randol conference in Perth (2005) seemed to support that HPGRs worked better at medium pressures than high pressures. These machines all have their place under the right conditions (Mogalakwena North in SA and Boddington in Australia seem to be good examples). What is a little worrying is that many minerals processing professional consultants I have talked with claim they are beginning to be concerned that they are being asked to justify selections of equipment types based on trends/fashion rather than good scientific investigations. I would be interested to hear other perspectives on this subject as it is an interesting one. This was the provocative question I asked delegates at Comminution '10, during the final summing up of the conference. At the beginning of the 20th century the advent of rod and ball mills led to the demise of stamp mills, and rod and ball mills then dominated 20th century grinding circuits. Are we about to see a new revolution, with rod and ball mils superceded by circuits involving HPGR/SAG mills and stirred mills? It was apparent at the conference that HPGR are being increasingly utilised, while the use of stirred mills, originally designed for ultrafine grinding, is extending slowly into the coarser grinding ranges. LinkedIn members may not be aware that a new group, Froth Flotation, was formed very recently. As yet there are only 15 members, but I am sure that the size of the group will increase as people become aware of its existence. Members so far seem to be also associated with the Minerals Engineers group, which currently has 464 members. Dr. Stephen Grano is well known to sulphide flotation researchers. Formerly with the Ian Wark Research Institute in Australia, he was also MEI's consultant on our first flotation conference, held in Adelaide in 2000. Stephen has now been appointed to lead the University of Adelaide's new Institute for Mineral and Energy Resources. The full story can be found on MEI Online. Later this year Minerals Engineering will publish a special Froth Flotation issue, containing selected papers from last year's Flotation '09 conference in Cape Town. Ninety-eight papers were presented at the conference, of which 50 have been submitted for peer-review. It is expected that around 40 papers will be in the special issue, currently scheduled for Volume 23 Issues 11-13 in October.